Founder of Sole Girls and SoleBoys, she is a Youth Speaker, Life Coach, 3xIron(wo)man, Ironman 70.3 World Championship competitor and Mental Health Advocate! Ashley started running at 5 years old, and now runs and competes in marathons and triathlons around the world. After seeing Amanda Todd’s video in 2012, she created Sole Girls. Ashley was named top 10 young entrepreneurs to watch in Vancouver by the Globe and Mail and top 5 Motivators in Canada by Impact magazine. She has spoken At TedxKidsBC, Rogers Arena, SheTalks as well as schools in Canada and in Spain! 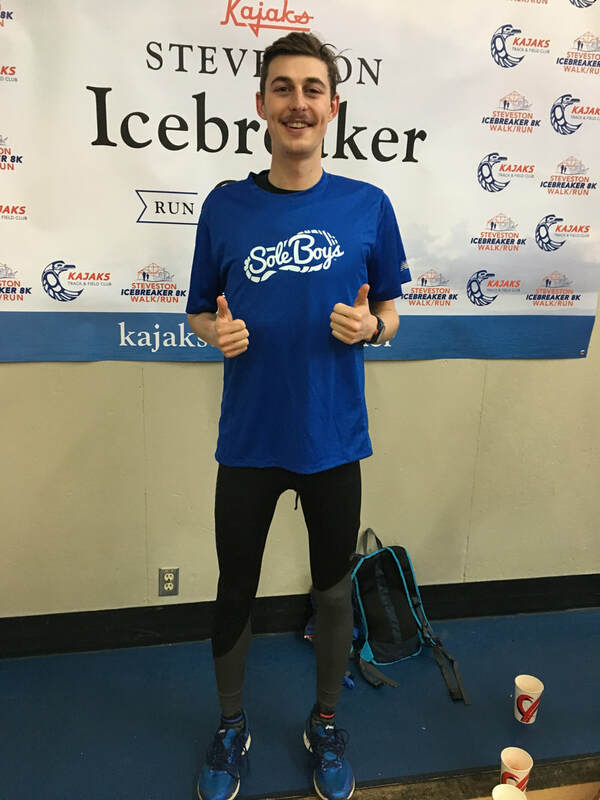 As a recent graduate from UBC with an Arts Degree in Political Science, Justin competed on both the Cross Country and Track and Field teams; winning the NAIA 3000m Steeplechase title in 2014. In 2017, he represented Canada at the Francophone Games in Cote de Ivoire and has most recently been named to the Pan Am Cross Country team competing in El Salvador, in February 2018. His athletic aspirations are to compete in the Tokyo 2020 Olympics! Gabe Lee is an entrepreneurial community builder, public speaker & model. The first stage of Gabe’s career was spent building the legacy of recreational Basketball in the City of Richmond through Richmond Youth Basketball League & West Richmond’s Summer Slam program. ​Graduate of a Bachelor of Arts in Psychology, avid marathoner, ultramarathoner and adventure seeker, Michael places a high value on achieving success academically, athletically and within the community. Professionally, by day Michael is a founder of local startup technology company and also works with an online running company. He spends his weekends and evenings discovering new running trails and in search of new places in nature for his next outdoor adventure. Michael has previously spent his years volunteering for the community of Delta where he grew up. His outgoing personality radiates positivity and youthfulness as he loves to watch others grow and succeed through having fun and a strong ‘kaizen’ mindset. "Unleash yourself and adventure more! "...words Amin lives by. Amin can usually be found on a mountain side biking, running through trails, in the midst of a obstacle course or some crazy new adventure. He loves to push the boundaries and live outside his comfort zone but most of all he loves to motivate and inspire the people in his life to do the same. Ellison loves spreading joy, confidence, and good vibes with the people around him. He has spent over a dozen years working and volunteering with children and young adults, everywhere from classrooms to learn-to-bike camps, art programs to community cooking courses. Ellison works as a public health consultant and a digital health strategist - the rest of the time, you’ll find him on a bike, a mountain, or on the water. He’s into good food, good music, and getting outside with good people. Jeff loves to run, he runs really fast. He is a Professional Ironman Champion and finished 3rd at the Ironman 70.3 World Championships. ​The only thing he loves as much as running is being a role model for youth and inspiring them to dream big and have the confidence to go after their dreams. Talking about feelings and emotions didn't come easy to Jeff, but dealing with ADHD from a young age has taught him how important it is to communicate. Mental, physical, and spiritual health advocate, Nick is truly grateful to be part of the co-founding team behind SoleBoys! Always striving for better, Nick is a competitive triathlete, committed coach, and full-time social paradigm buster. See Nick run in his bright colors, advocating the de-gendering of color and the de-stigmatization of optics & aesthetics, while fostering the conversation around community connectedness and vulnerability.